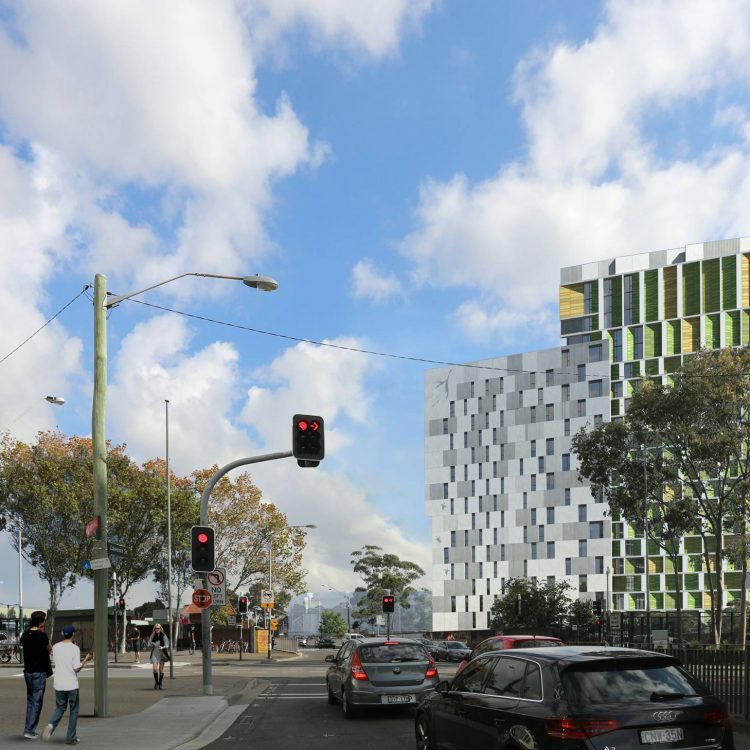 The $70m Pemulwuy Project, located opposite the north end of Redfern Station, fronting Lawson Street and Eveleigh Street is the redevelopment of the land known as “The Block” owned by the Aboriginal Housing Company (AHC). 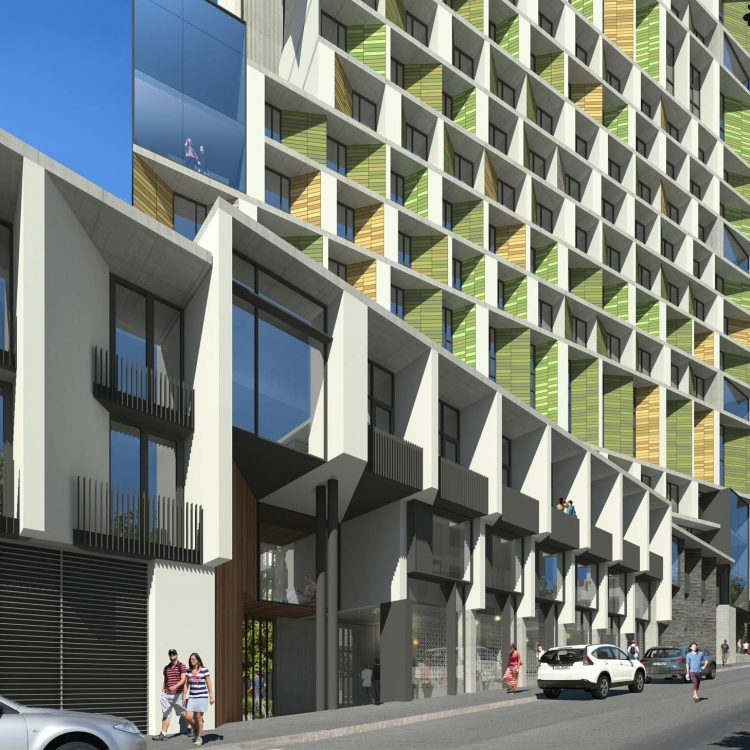 The design concept for Col James student accommodation incorporates elements from both, the past and present where the built elements respond to the site’s and Redfern’s complex layers of natural, built and cultural past. 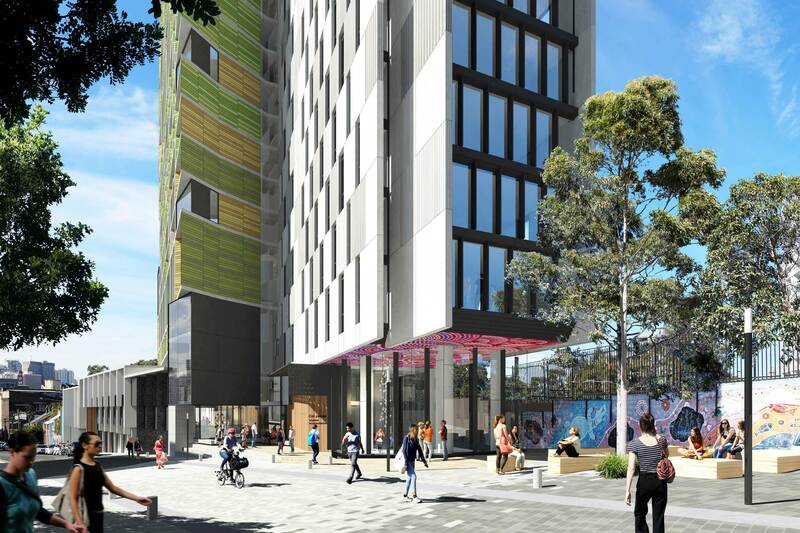 The 519 rooms – student accommodation is designed to cater for various living arrangements. 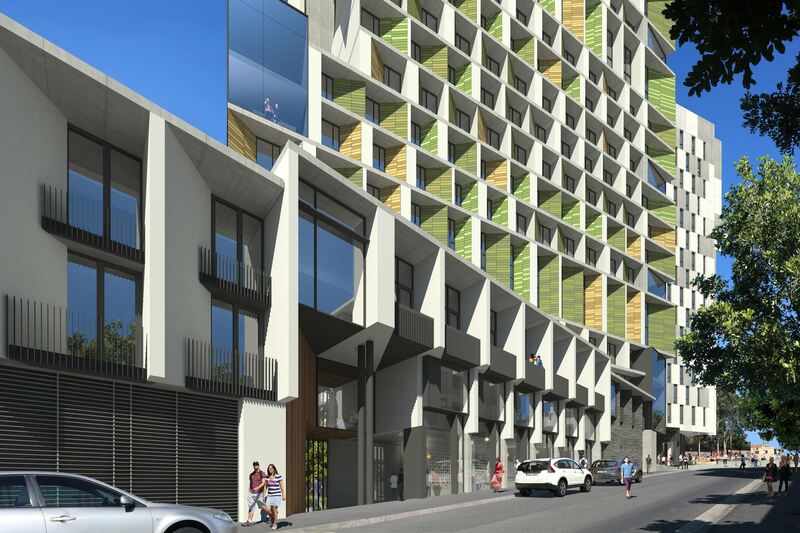 The design provides studio, twin share and five bedroom clusters for a varying degree of mix and price point to cater for a wider range of residents. The design also allocates 2.8sqm of combined communal open space, communal facility and gathering space (internally and externally) per student. Studios are to be equipped with kitchenettes as well as en-suite bathrooms. 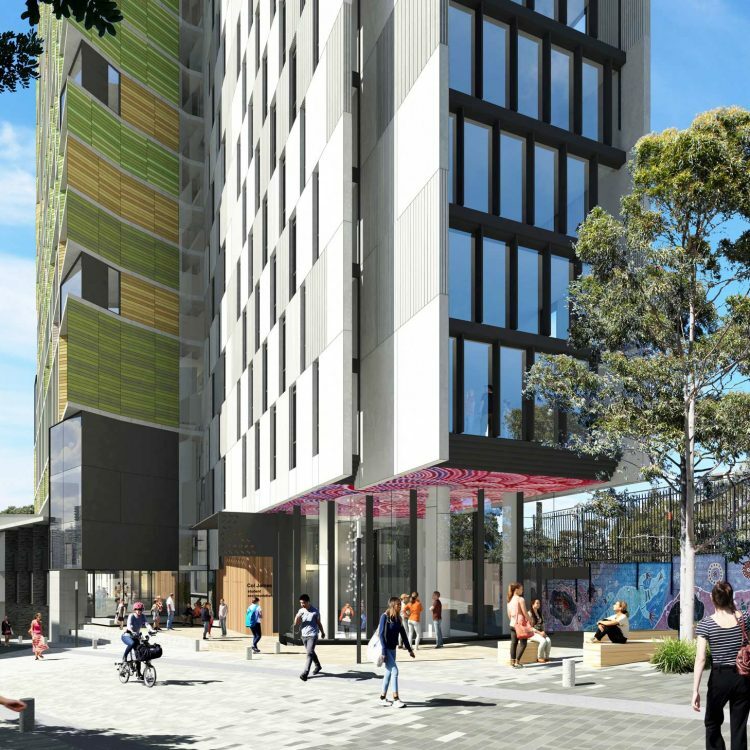 The twin rooms include kitchenette and a shared en-suite bathroom while the 5-bedroom cluster units are to include individual ensuite bathrooms and a shared kitchen and living/dining area. 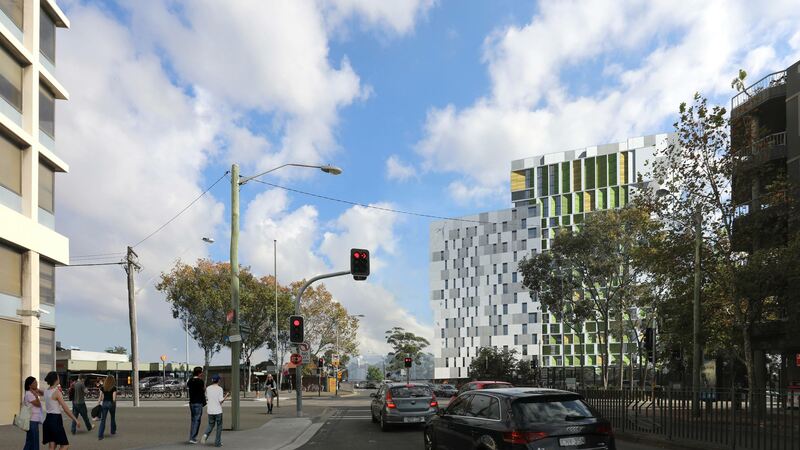 The student accommodation facility across 24 storeys and 16,500 square metres will further consolidate the rapidly changing demographics of The Block, which has become a popular area for young professionals and creatives in recent years.